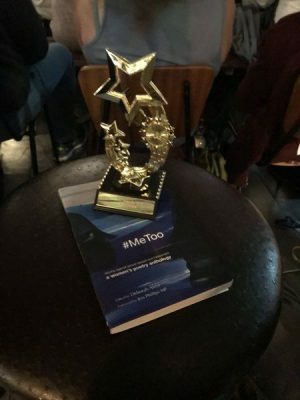 It is the one year anniversary of the conception of the #MeToo poetry anthology. If you have read and liked the book – we would very much appreciate an amazon review – to increase the book’s visibility – to reach a wider audience plus every penny made on book sales we are donating to the charity Women’s Aid UK. We already have FORTY five star reviews of the book on amazon – if we manage to reach 50 five star reviews then the book will become visible to the “world”. 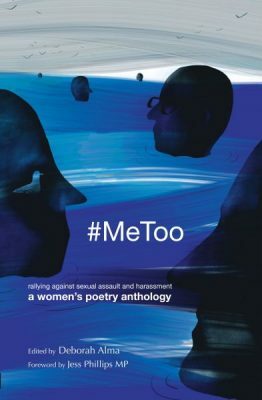 As the editor of #MeToo poetry anthology is a poet herself – (the Emergency Poet, whose first full collection, Dirty Laundry, is published, and out now, with Nine Arches Press) – you can nominate Deborah Alma for the Ted Hughes Award for New Poetry 2019. We feel that Deborah’s fast reaction to the deeply important and completely modern social-media led #MeToo campaign/ phenomenon which resulted in this landmark book – perfectly edited with incredibly high quality poems throughout the anthology that has already sold over two thousand copies in UK, USA and Australia, and most importantly has helped individuals at a fundamental level – deserves to be considered for the Ted Hughes Award for New Poetry. Here is the book page for all the details. Please share this far and wide! The book has already won the SABOTEUR’S BEST ANTHOLOGY award this year. It has been championed on BBC Radio 4’s Front Row and featured at many festivals throughout the UK. All the women involved in creating the book have donated their time, poems, illustrations, editing and publishing skills. Do look out for Agenda magazine’s 1918 edition.